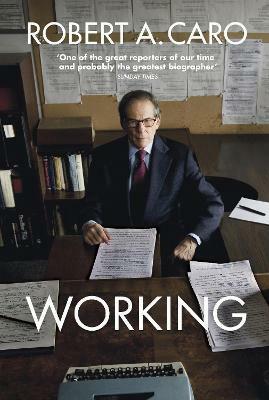 "I think about Robert Caro and reading The Power Broker back when I was twenty-two years old and just being mesmerized"
Robert A. Caro's first book, The Power Broker, published in 1974, was described in 2015 as `one of the greatest non-fiction works ever written' (Sunday Times). His ongoing multi-volume work The Years of Lyndon Johnson has been described as `the greatest biography of our era' (The Times). With these books he has twice won the Pulitzer Prize, twice won the National Book Award and three times won the National Book Critic's Circle Award. He has also been awarded virtually every other major literary honor, including the National Humanities Medal, awarded by President Barack Obama, the highest award in the humanities given in the United States. Born in 1935, he graduated from Princeton University, later became a Nieman Fellow at Harvard University, and was an investigative reporter for Newsday for six years. He lives with his wife, the writer Ina Caro, in New York City, where he is at work on the fifth and final volume of The Years of Lyndon Johnson.